Justice Department lawyers could advise him against certain assertions if they don’t feel it’s legally defensible. If Trump does assert executive privilege, the decision could be litigated in court if it’s challenged, which Democrats would almost certainly do. While Trump’s personal attorney Rudy Giuliani suggested privilege could be used to keep parts of the report from public view, the issue is up to the White House, not the President’s personal attorneys. As the White House is bracing for Mueller’s investigation to conclude, some officials describe a sense of anxiety at the contents of the report, even as they welcome the probe’s end. A person close to the President’s legal team offered some caution in a sign of the level of anxiety about how closely held Mueller has kept his investigation. “Let’s get the airplane on the runway and see what we got,” the source said. Barr has wide discretion under existing regulations to decide what to share or not share with lawmakers — but the issue could ultimately be subject to extended legal battles. 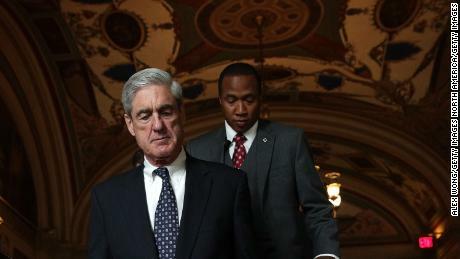 Last Thursday, the House overwhelmingly approved a resolution urging the release of Mueller’s report. A source close to the President’s legal team said the White House allowed interviews with White House officials with the understanding that claims of executive privilege could later be raised. The White House produced more than a million documents to the special counsel’s office, but not all of that material would be subject to executive privilege, nor would documents from the campaign. “The White House shouldn’t advise the attorney general on what it should share and not share. 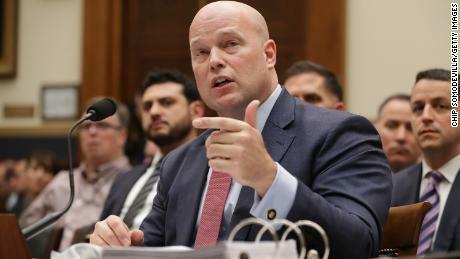 That’s up the attorney general and he’s independent on this one,” said Mark Tuohey, a former prosecutor who has been involved in past special counsel investigations. “The report by the special counsel, which could be the subject of a summary by the AG, focuses on potential conduct of the President of the United States and his aides and staff. That is not a matter to be discussed with the White House before the matter is sent to Congress,” he said. But Tuohey said it would be appropriate for the Justice Department to give the White House counsel’s office the opportunity to weigh in on specific pieces of information that could be subject to executive privilege protections. Mueller’s confidential report to Barr is expected to happen any day now. Indeed, many of Trump’s aides view the conclusion of Mueller’s tenure — which has symbolically consumed all but a few months of the administration — as a positive development that could allow the President and his team to move forward. That appeared to be Trump’s optimistic view on Monday when he tweeted his belief that the report would reveal itself to be a sham. “Very few think it is legit! We will soon find out?” he wrote. Of course, the ramifications of Mueller’s investigation are far from over, including the various ancillary probes that were launched as a result of what his team uncovered. The Southern District of New York is still pursuing investigations into matters linked to the President and Democratic lawmakers plan to pursue a series of investigations after Mueller’s investigation concludes. Most White House aides are siloed off from issues relating to Mueller and are preparing to move Trump’s agenda beyond the border wall fight and North Korea summit that together consumed the first part of the year. One White House aide said Trump’s team is hitting the “reset button” after plowing through rancorous budget negotiations and North Korea talks. Emmett Flood, the White House lawyer tasked with handling the White House’s response to the Mueller probe, and officials have held meetings to game out the White House’s response to whatever becomes public, a senior White House official said. Officials have prepared the outlines of how the White House would react to different scenarios, based on the extent of Barr’s disclosure to Congress and whether the findings are exculpatory or damaging to the President, the official said. Those efforts have largely been undertaken by Flood and his team, rather than by officials in the White House press shop, which has sought to keep its distance from the Mueller investigation. While the White House has tried to avoid commenting on the probe, that could change once the Mueller report emerges, particularly if it is exculpatory, a senior White House official said. The White House has repeatedly directed reporters to the President’s legal team on questions related to the investigation, but White House officials have mulled a response to the report from the President or White House press secretary Sarah Sanders depending on the outcome.